A Facebook picture search can be as simple as accessing the site's search bar. The site's search bar recognizes natural language, making it easy to find photos on Facebook, depending on your relationship with users and their privacy settings. There are also a few methods to look for pictures without being logged in to Facebook. Every day, Facebook users upload 300 million photos to the social media site. Despite this volume, searching with a few well thought-out phrases will yield valid results. Facebook's search bar combs through all the social platform's content. It differs from Google, which searches and indexes the web, in two important ways: (1) it searches only Facebook and (2) it respects privacy settings. 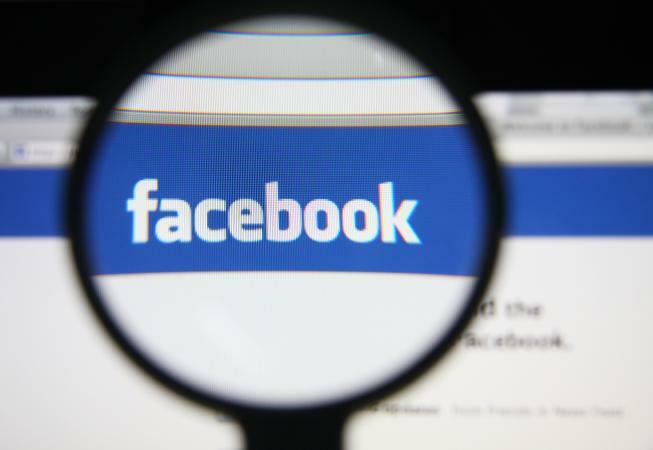 Privacy settings on the user's Facebook account determine what images appear in search results. Photos with a public setting will always appear in the results. Photos with a privacy setting of 'Friends' will appear if you are friends with the person. Images with a privacy setting of 'Friend of a Friend' appear if the person posting the original photo is a friend of one of your friends. However, if a person is tagged in a photo - and the photo has a public setting - it will appear in the results, regardless of their connection to you. To search for pictures on Facebook, sign into your account and use the search bar at the top, typing in key phrases based on what you are looking for. The best phrases to use vary based on your reasons for searching. Even though this feels like it should be easy, this is actually one of the trickier ones to find. This is because the settings on the album and photos are controlled by the person doing the posting. Type 'Photos I am tagged in,' 'Photos of me,' or 'Tagged photos of me'. For this type of search, it is best to fall back on either the subject, event and/or person in the photograph. Start by typing 'Photos of.' To find a photo of a friend or family member, this is the easiest method, even if they have a common surname like Smith, because the search tool will default to your list of friends. This method will also reveal any photos the user may have hidden from their timeline. As Business Insider points out, hiding a photo from a timeline does not mean other users cannot see it. The only method that keeps an image truly hidden is to remove tags connecting an image with a user or to adjust the privacy setting. If you want to view photos of your aunt Sally, type in 'Photos of Sally [Surname].' If you are friends with Sally, this will return all the photos she shared with her friends. If you are not friends, the search will still return images she has shared with the public and, depending on her privacy settings, images tagged by or shared with a family member or mutual friend. When you know the location and/or year the photo was taken, try 'Photos recently taken in [Place]' or 'Photos taken in [Place] in [Year]'. If the photo is of you and another person, type 'Photos of me and [Person].' Add the year to the phrase or 'recently' to narrow down your results to the newest pictures. This may be the easiest Facebook picture search to conduct. Since you probably know the person's username, use 'Photos by [Username]' to conduct a quick search. This will return photos posted by a person and, in the second grouping of results, photos they are tagged in. Type 'Photos uploaded by my friends' to get a list of images your friends have uploaded. Click on an image in the search results to see which friend posted it. Narrow down your results by changing 'my friends' to a particular person's Facebook name. Search 'Photos liked by my friends' to return a list of images your friends have liked. However, it may not reveal which friend liked the image if a lot of people liked it, but it will show who originally posted the photo. Use similar techniques to check up on photos shared or commented on by your friends. The quickest way to do this is simply search using the phrase 'Photos by [Username],' but a more revealing search may be 'Photos commented on by [Username].' This will return the list of all images a person commented on and it will show the comment. Since you are most likely friends on Facebook with your child, you can also search for 'Photos commented on by my friends.' This will broaden the search and may reveal comments your child's friends have made, if that is information you want to monitor. You can attempt to find images on Facebook without logging in to the site, but it is not easy. 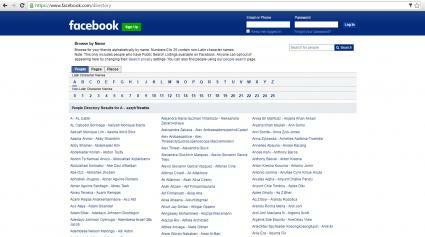 Go to Facebook.com/directory (without logging in to the site) and use the tabs to narrow what you see by people, places or pages, then click the character names (letters and numbers) to target your results. You will only get results for people who have public search listings on Facebook. You will get a massive quantity of results, so trying to find a particular target this way can be very time-consuming and tedious. Tip: It's free to open a Facebook account, so you can always set up a profile and log in to avoid having to use this method. Although the social media platform strives to keep images viewable only from within their site, there are a few possible ways to see Facebook photos without going to the site. In a practical sense, no one can view all Facebook images from outside the platform, but some photos can be seen through a general internet search or a reverse image search. If you think someone has posted images you own on Facebook without your permission, start by using a reverse image search. These search engines basically determine when and where the image has appeared online. Some popular ones include: Google Image Search, Tineye, or RevImg. Either copy the image location (by right-clicking on the photo) or download the image to your machine. Input image location or upload photo to the search engine. Submit to view search engine results. If the image has been used elsewhere, it will be noted by the search engine. Tip: If you are concerned that your images are being stolen or reused, alter them before placing them online. You can do this by uploading very small image files or placing a watermark on your images. This does take some time, so you may only want to do it with images you definitely want protected. Do a Google string search by visiting Google and typing in 'Site: Facebook.com [Person's name]. This will return a list of profile images on Facebook for the inputted name. Use Google's Social Search engine and set the search default to Facebook. Note: A key limitation of these methods is the ability to fine-tune your results, especially if someone has a common surname. There are numerous options to search for pictures on Facebook, though, of course, user privacy settings definitely impact results. It's easiest to find images associated with people you are friends with on the site, though one or more of these techniques may help you find images associated with other individuals. Choose the search method(s) most appropriate for your particular situation.